4WD and Ebony w/Premium Cloth Seat Trim. Loaded to the max. Smooth runner. 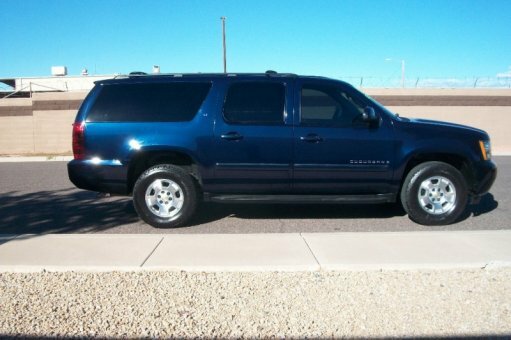 If you want an amazing deal on an amazing SUV that will carry all the people you care about, then take a look at this family-hauling 2009 Chevrolet Suburban 1500.J.D. Power and Associates gave the 2009 Suburban 1500 4 out of 5 Power Circles for Overall Performance and Design. This vehicle is loaded with all the comforts of home to make your next vacation enjoyable! PR1050. 4 Doors, Four Wheel Drive, SUV, 5.3L 310.0hp, 8 Cylinders , Automatic.